Catch-up: BBL - London Lions v Cheshire Phoenix - can Lions win first BBL title? Sheffield Steelers is generally considered the most famous name in British wheelchair basketball but their women’s team has had to take a back seat in the last two seasons as CWBA have dominated the women’s game. GB international Sophie Carrigill of the Steelers - she describes her team as ‘a massive club’ that is also a community - believes her women will be ready for this weekend’s final four, tough though the opposition will be. Carrigill, 25-years-old started playing in 2011 and was an international two years later. She has been a key part of the up-and-coming GB women’s team that has made the promising progression of fourth in the 2016 Rio Paralympics, third in the 2017 European and silver medalists in the 2018 World Championships. “The women’s game is in a really great place at the moment - we are current World silver medalists and training hard to make sure we go one better next time,” said Carrigill. What's the scoring system in wheelchair basketball? Ever wondered how scoring in wheelchair basketball works? Watch this 30-second video to learn everything you need to know. What is the British Wheelchair Basketball Women's League? The largest of its kind in the world, the British Wheelchair Basketball Women’s League was first introduced in 2003 to provide a female only environment to help nurture participants both as players and as individuals. In Women’s League, players of all abilities find the encouragement and support to achieve their best both on and off the court. The League welcomes both elite players and newcomers and provides a platform for Great Britain’s elite athletes to hone their skills before reaching the international stage. CBWA, Sheffield Steelers, Vixens and Angel of the North are the four teams competing. How can I watch the British Wheelchair Basketball Women’s League? 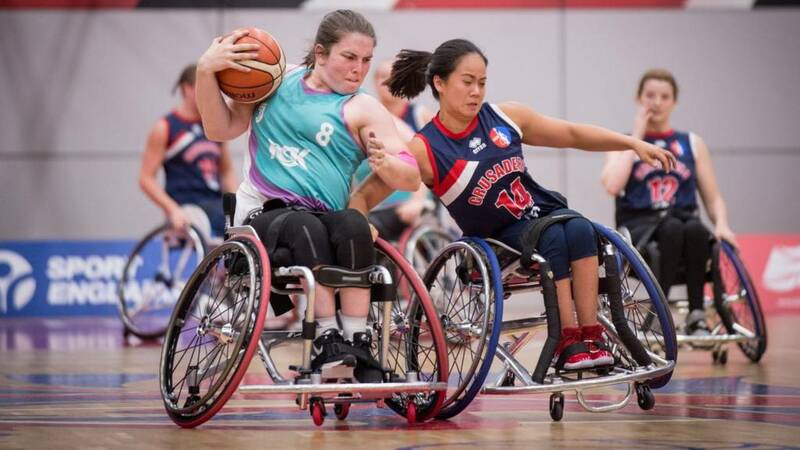 There will be live coverage of the finals of the British Wheelchair Basketball Women's League on the BBC Sport website, app & connected TV on Saturday, 20 April from 15:45-20:45 BST. It will also be available on BBC iPlayer here. Wheelchair Basketball embraces a range of disabilities and is equally as fast paced and exciting as the traditional game. It is a great way of improving upper-body strength and building confidence. British Wheelchair Basketball provide opportunities to play across the UK.